What Are Some Key Facts About Eagles? With a wingspan of up to 7.5 feet and a body that measures up to 3.5 feet, the eagle is larger than any other bird in North America with the exception of the California condor. The female of the species is larger than the male. The bald eagle was adopted as the national symbol of the United States in 1782. 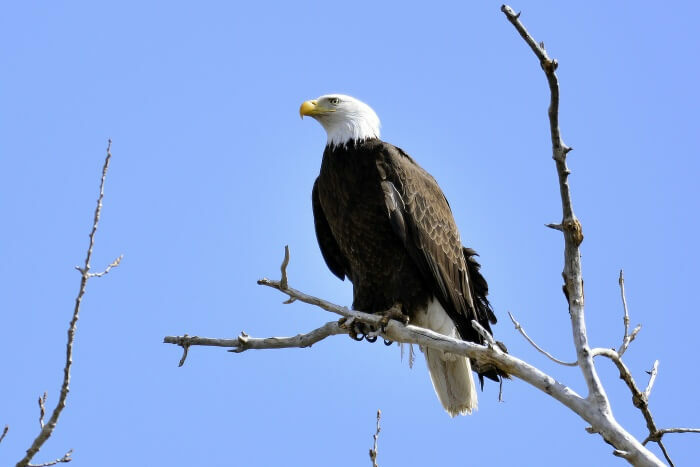 At the time, there were around 75,000 bald eagles located throughout the lower 48 contiguous states. That number, although their numbers were drastically reduced in the years to follow, leading to their conservation status of threatened.